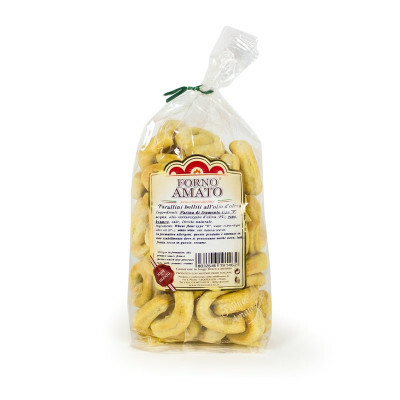 Fantastic Tarallini naturally handmade, in fact , for this reason, is impossible to find two taralli that look like each other. 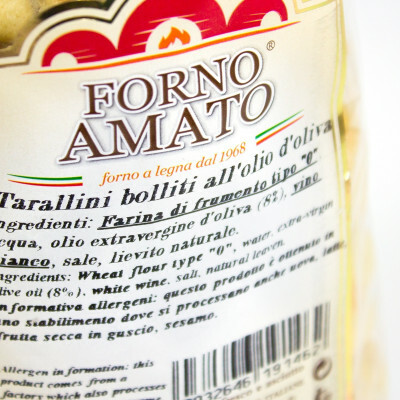 Suitable for snacks and aperitifs; as opposed to many snacks available on the market, they are made of natural products and free from added fat. GLUTEN. Wheat flour, water, olive oil, white wine, salt, yeast.